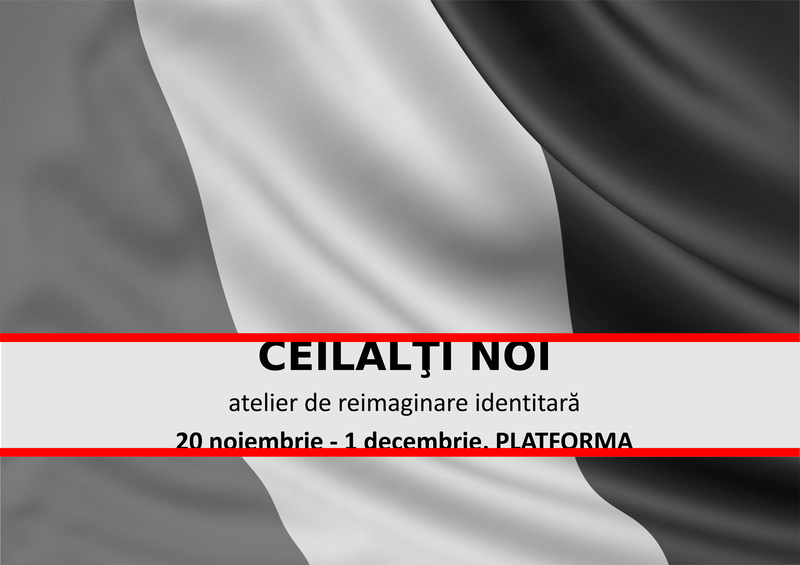 – workshop, talks, flag-building atelier, public performance and exhibition on nationalism and identity (a critique of nationalist ideas from gender and minorities perspectives). Curator and coordinator Veda Popovici. Contributors and lectures: Cercul de Lecturi Feministe (the Feminist Reading Group), Irina Costache, Florin Poenaru, FRR-Fan Clubul Reusitelor Romanesti/The Fan Club of Romanian Achievements (Claudiu Cobilanschi&Stefan Tiron), Cristian Cercel, Ovidiu Pop, Veda Popovici, Simona Dumitriu, Alice Monica Marinescu, David Schwartz.